Blume believes Porsche's future partly hinges on the Mission E, its first EV. FRANKFURT -- Porsche will pursue a three-pronged strategy to diversify its lineup as the brand gears up for the rollout of its first all-electric sports car next year to tackle a fundamental industry shift toward battery-powered vehicles. "There will be a triad: plug-in hybrids, emotional sports cars with combustion engines and sporty electric vehicles," CEO Oliver Blume said Thursday evening at the Porsche museum in Stuttgart, Germany, celebrating the 70th anniversary of its first sports car, the 356. The roadster was manufactured in Gmuend, Austria, and marked the beginning of Porsche's own vehicle production after the company previously provided engineering for other manufacturers. "There will always be demand for intelligent sporty mobility," Blume said. "At Porsche the driving experience will always be at the forefront, but in a traffic jam or when you park a car the driver might want to hand over control of the vehicle," he said. Porsche is the most profitable brand of Volkswagen Group, and is seeking to protect its industry-leading margins even as spending surges for development of electric vehicles and digital services. Maintaining Porsche's earnings is crucial for Volkswagen because Audi, the division that's the largest profit contributor in absolute terms, has lost ground in sales to Mercedes-Benz and BMW and continues to struggle with the fallout from the group's diesel-emissions scandal. Porsche's global sales reached a fresh annual record in 2017, with demand rising almost 4 percent to 246,000 cars. Rapid volume growth in recent years has been largely driven by adding the compact Macan SUV to the lineup. Gains might slow in 2018 as Porsche said it aims to "stabilize" deliveries and safeguard the marque's exclusivity. Still, the introduction of a revamped version of the Cayenne sport-utility vehicle in China and the U.S., Porsche's two largest markets, should support demand this year. 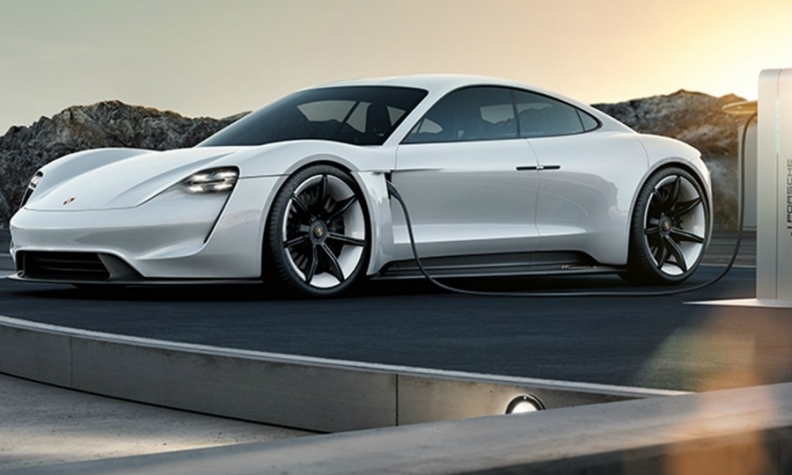 Robust sales and healthy returns are strengthening Porsche's financial muscle to introduce the all-electric Mission E coupe in 2019 and subsequently add more partly and fully electric vehicles across its lineup. Customer feedback has been encouraging so far, with some 60 percent of buyers of the updated Panamera four-door coupe in Europe opting for the hybrid version. The technology for the next generation of Porsche's iconic 911 sports car will also allow integration of a battery that could provide extra boost. "We have everything it takes for the next 70 years," Blume said. But risks remain as "the world is changing rapidly." "The future of Porsche also hinges on the success" of the Mission E electric car, he said.